In last tutorial we introduced two plugins to do (1) SEO and (2) social media auto-publish. 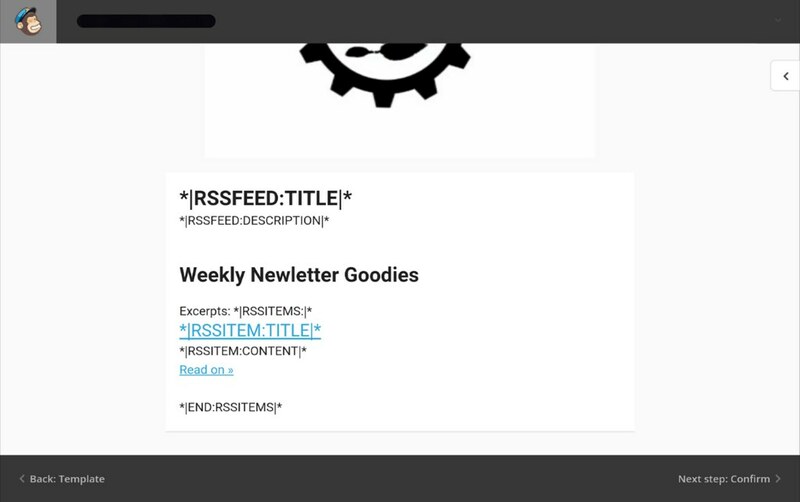 Here we continue introducing the third content sharing technique: Email subscription via MailChimp. 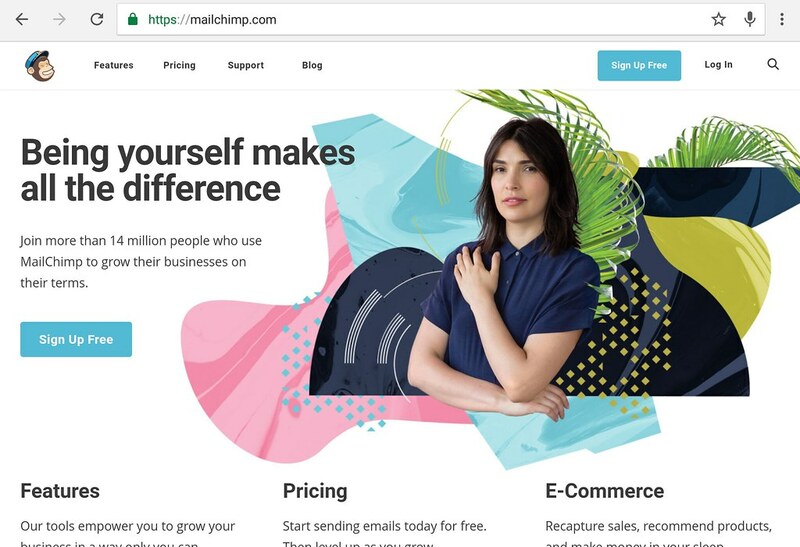 Mailchimp is an online email campaign service (with a free pricing plan). 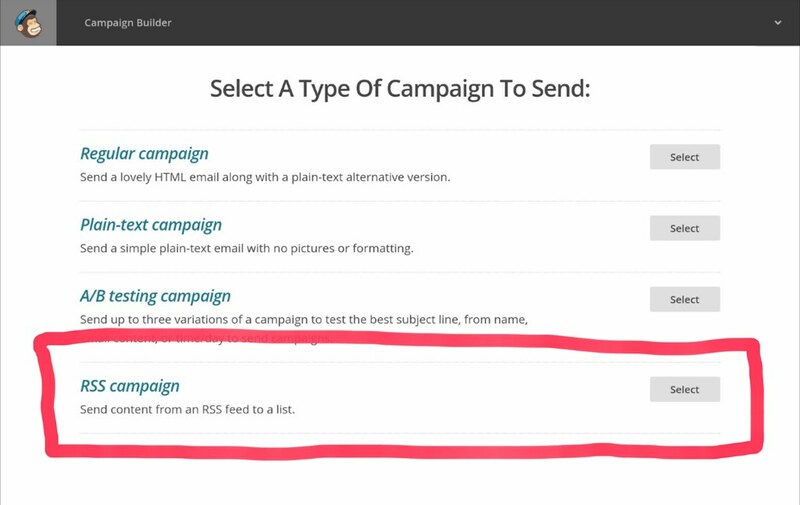 Website owners can create email campaigns to get subscribers and automatically send them email updates. 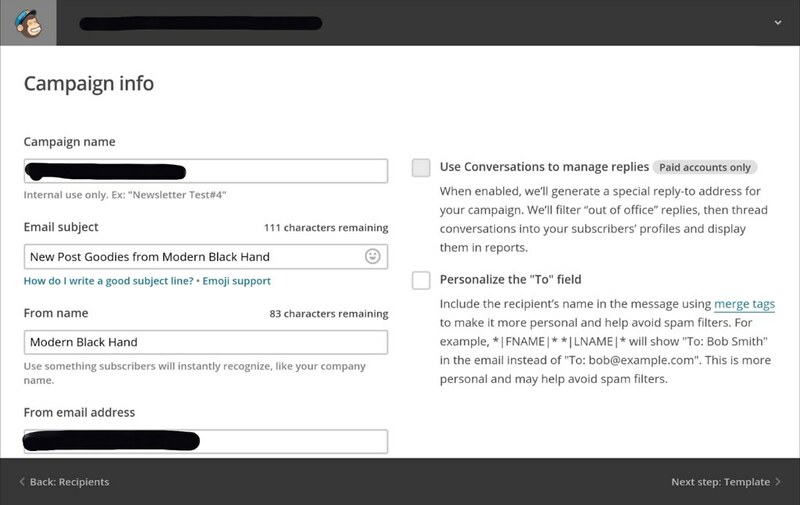 To use MailChimp you have to first create an account. You must have a domain name to register due to anti-spam regulation. It is also recommended that you create an email acount that ties to your domain. After entering your domain MailChimp will ask to verify your domain. For me I have to further set some DNS records outlined in this article. See this tutorial for DNS record configuration. Once you register an account you can start create campaigns by clicking top left menu icon and then the campaigns tab. 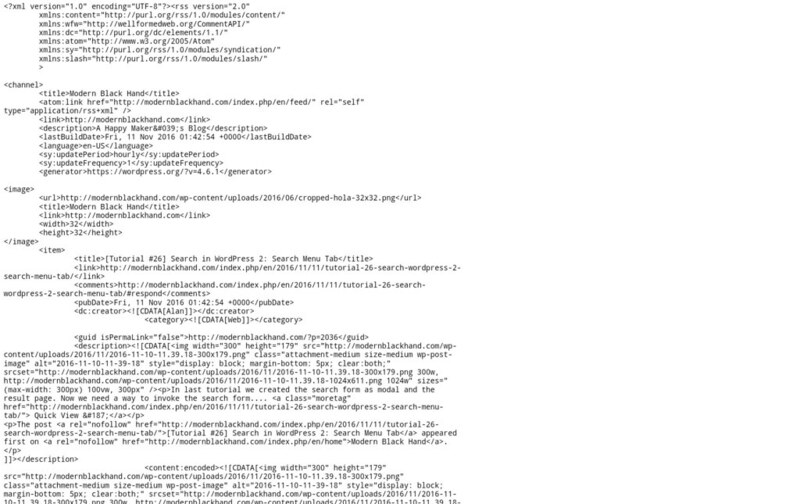 For ModernBlackHand we use an RSS campaign that gets post updates via wordpress RSS Feed. 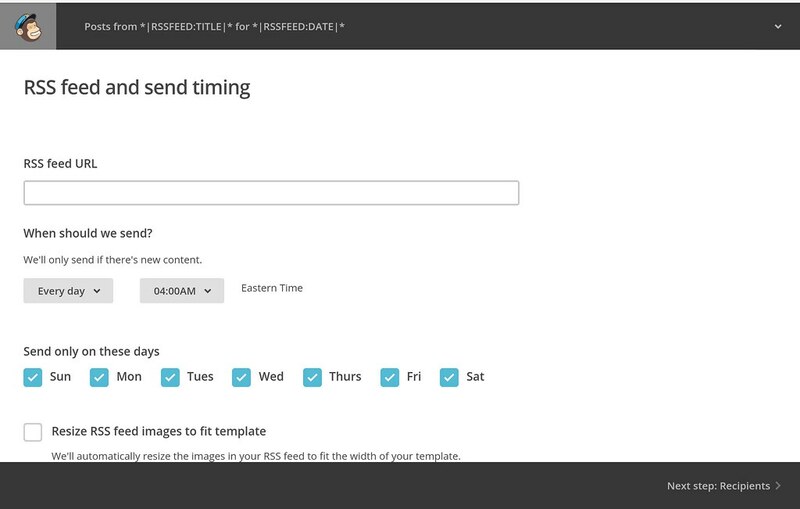 Then you have to specify your wordpress’ RSS url and the frequency and time your campaign send out updates. Usually wordpress’ rss url is http://your_domain/index.php/feed but plugins may change it. RSS url shown in the browser. Then it will ask to use a list for the campaign. A list is simply a table to store subscriber information. The default list example should work. Then you enter some basic campaign information. 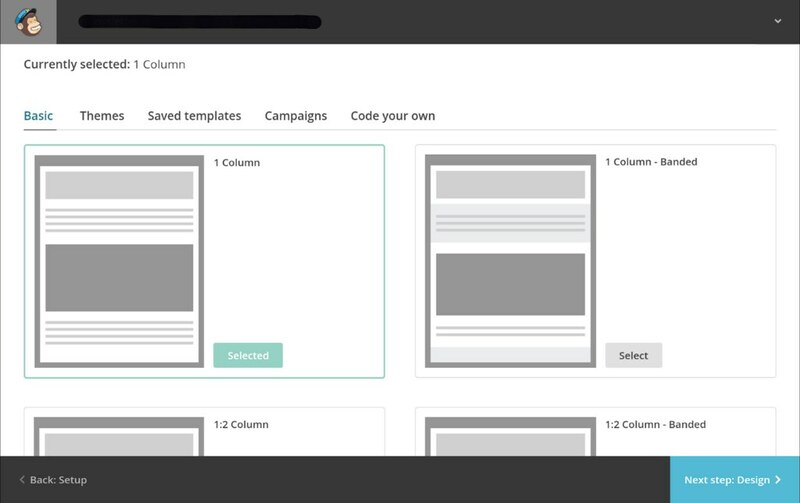 Then select an email style, and customize its content display. Confirm and review your setting, then hit “Start RSS” to start the campaign! 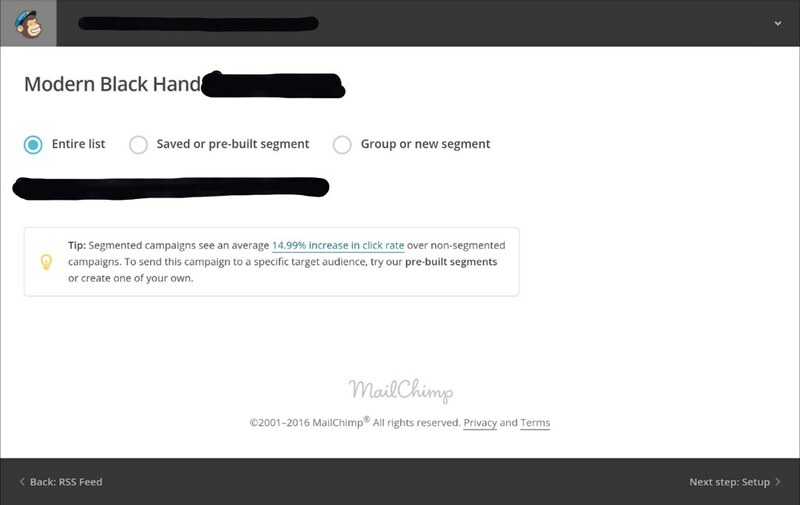 Now the campaign is ready to send email updates, the next step is to configure your site to get subscribers. For MailChimp there is the MailChimp for WP plugin. Link to your MailChimp account. Create a sign-up form and configure error messages. Include the codes in your wordpress template, like footer.php. 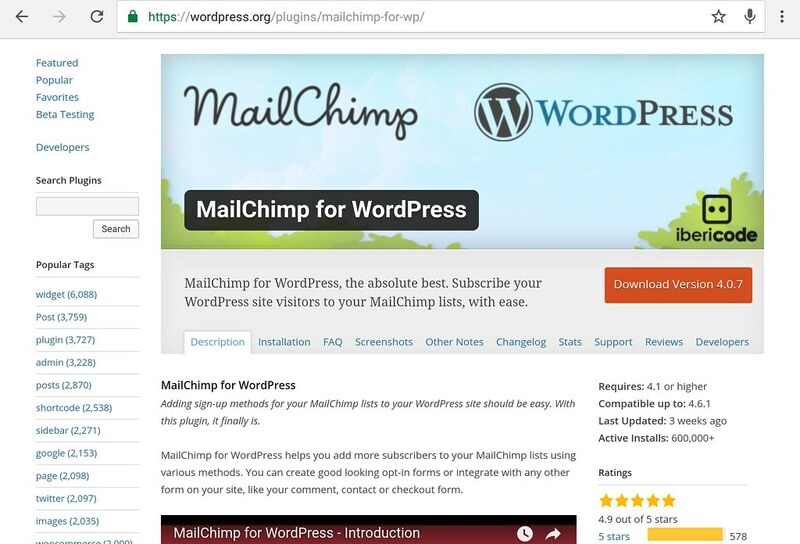 You need to find out what your API key is to let wordpress connects to MailChimp. 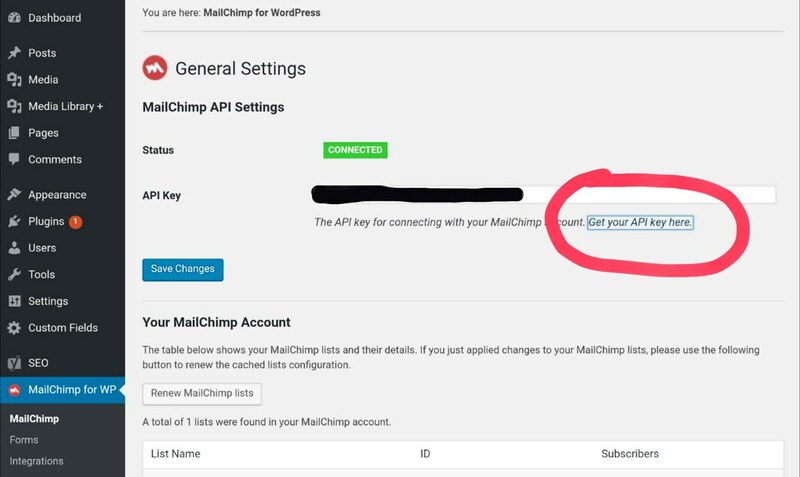 Simply click “get your API key here” link in the MailChimp API Settings tab. You might need to create one the first time. Save it and if it is successful it will display a green “CONNECTED” text. 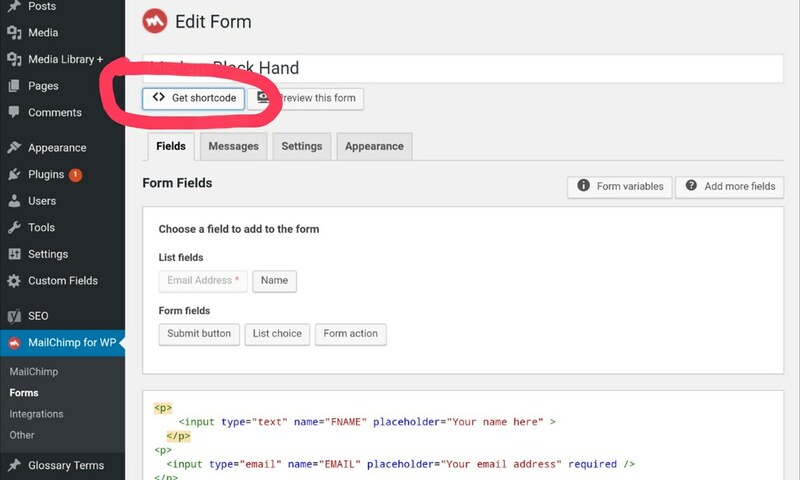 Once you are done, click <>Get shortcode just below the form name to get the wordpress code that tells wordpress where to insert the form. 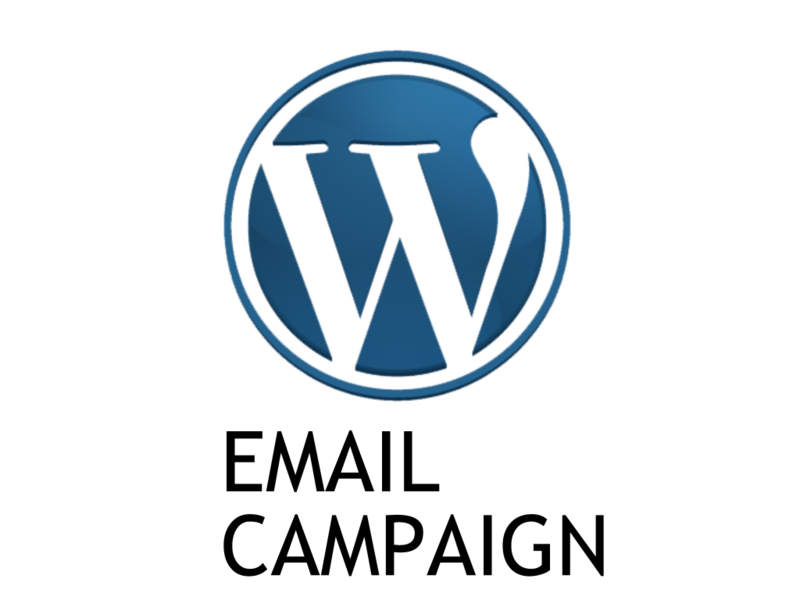 By providing your email you consent to receiving occasional promotional emails &amp; newsletters. No Spam. Just good stuff. We respect your privacy &amp; you may unsubscribe at any time. The codes have the usual three <div> tags with classes modal, modal-dialog and modal-content (line 3-5). See this tutorial for using modals. Here we use a header to explain the subscription form. Here is the main modal body (the subscription form), and we put the shortcode here. It is good practice to explain to your viewers that you repsect their privacy and won’t abuse their information. You have completed setting up email subscription for your site! Open the form, enter your own email, and check your mailbox to test it!